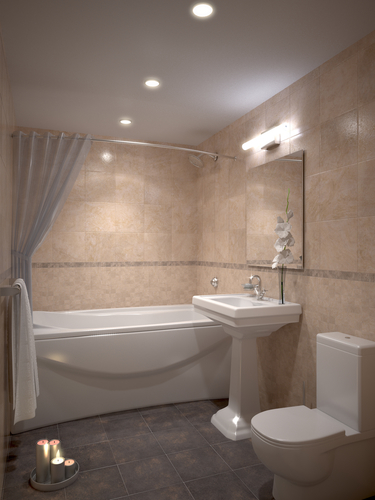 If you are planning a bath or kitchen remodeling project, consider acquiring the services of a designer. Although you can potentially save some money upfront by designing your own renovation, mistakes and a lack of industry knowledge may cost you in the long run. Below are four reasons why you should hire a designer when you are ready to remodel your bath or kitchen. Bath or kitchen remodeling is not just about looks; it’s about functionality. A well-trained, experienced designer can make your room look beautiful, and they also ensure all the important details, like traffic patterns and appliance placement, are addressed as well. Kitchen and bath designers have the know-how to make the most practical use of space. They can use cabinet designs and storage options to maximize a small area while also suggesting lighting and design elements that will make a room appear larger than it is. A skilled designer will be able to determine a layout that addresses all your plumbing and electrical configurations, while still helping you achieve an aesthetically pleasing kitchen or bath you’ll be proud of. Like an architect, he or she will be aware of recent building codes and structural basics to make sure your kitchen or bath fixtures are sound and meet the necessary requirements. Today’s skilled designers have access to the newest tools and technology and knowledge of the latest trends in the industry. An experienced kitchen or bath designer can offer you a range of options to help you make solid decisions about your room that are right for you. When you are ready to consider remodeling your Lincoln, NE, bathroom or kitchen, turn to the leaders in home renovation, InsideOut Renovations. Their innovative team can help you design the kitchen or bath remodel of your dreams. Call them today at (402) 474-0028 to learn about all their bath, flooring and kitchen remodeling services, or visit them online for more information and to see examples of their work.